YOKOHAMA, Japan -- Nissan today reported a slight increase in second-quarter operating profit as record sales in the United States dulled the impact of a slowdown in China. Nissan said operating profit reached 139.34 billion yen ($1.2 billion) in July-September, up from 135.94 billion yen a year earlier. Net income rose 16 percent to 124.9 billion yen ($1.1 billion) in the quarter. The company maintained its full-year profit forecast. In North America, Nissan reaped 83.3 billion yen in operating profit last quarter, increasing from 42.7 billion yen a year earlier. Nissan boosted U.S. sales by 13 percent this year helped by incentive spending and demand for its Rogue SUV and Versa subcompact. The company has spent an average $2,712 per car in incentives this year, compared with $1,995 at Honda, according to Autodata Corp.
Back home in Japan, operating profit fell to 54.1 billion yen from 99.4 billion yen. Nissan's domestic deliveries fell 19 percent in the six months after the consumption tax was increased in April for the first time since 1997. The domestic market slump also hurt Honda Motor Co., which last week forecast its first annual profit decline in three years. 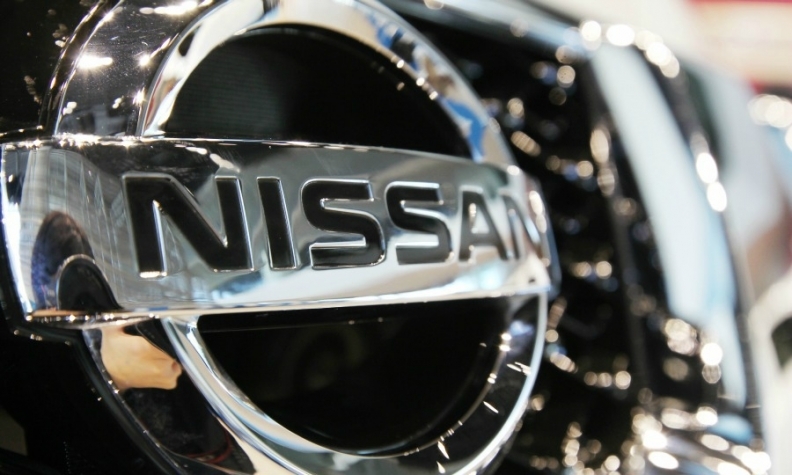 Nissan posted an operating loss of 3.3 billion yen in Europe, narrowing from the 9.9 billion yen deficit a year earlier, amid mounting signs that the region is recovering from recession. Nissan CEO Carlos Ghosn said last month he is "reasonably optimistic" that the European auto market recovery would continue next year. Sales fell in each month in the quarter in China, where a slowing economy and lingering anti-Japanese sentiment is leading to fewer passenger cars and commercial vehicles leaving showrooms. In China, Nissan cut its full-year delivery forecast by 11 percent to 1.27 million units after sales declined in the first nine months. "Nissan relies heavily on China profits," Takaki Nakanishi, an auto analyst at Jefferies Group, wrote in a report last month. "And changes in this market's demand, competitive landscape, and political situation pose high risks." Nissan sold about 104,400 vehicles in China in October, down 9 percent from a year earlier, the carmaker said. That follows a 20 percent decrease in September and a 0.7 percent dip in August. In the first 10 months, Nissan sold 983,500 vehicles in the market, up 3.5 percent from the same period a year earlier. Nissan, which operates a car venture in China with Dongfeng Motor, also revised its China sales forecast for the year down to 1.27 million vehicles versus a previous forecast of 1.4 million. Nissan's senior vice president Jun Seki said in May that the company aims to achieve annual China sales of 2 million cars by 2017-2018. In contrast, generous incentives in the United States helped Nissan to achieve record second-quarter sales. Automakers reporting their strongest October sales in the U.S. in a decade thanks to increased consumer spending and lower gasoline prices. Weakness in China and other emerging markets including Russia led Nissan to lower its global sales forecast by 200,000 vehicles. Nissan has been hit by a sharp decline in the Russian ruble against European currencies since the onset of the Ukraine crisis, because most of the cars it sells in Russia -- its fifth-largest market -- are manufactured in Europe. The July-September result was marginally pushed up by an 8 percent decline in the yen against the U.S. dollar. Among Japan's top five automakers, Nissan benefits the least from a weaker yen - which raises the value of repatriated earnings - because it has a greater proportion of overseas production. The currency has since passed 113 yen for the first time since December 2007 after Japan's central bank expanded its economic stimulus measures. Nissan said it now expects the dollar to average 104 yen in the business year ending March rather than 100 yen previously forecast. It also expects the euro to average 138 yen instead of 140 yen.